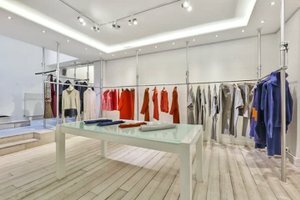 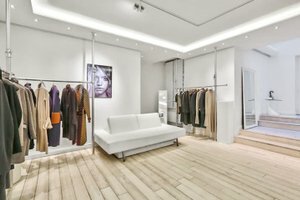 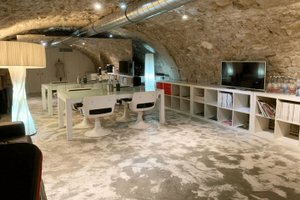 This modern 90 sq m showroom is located in the heart of Le Marais, it is a modular space ideal for Fashion Showrooms and Private Events. 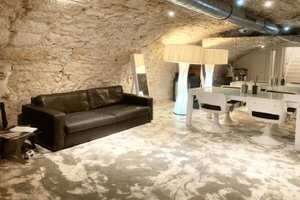 The entranced space divided on 2 levels : a 50 sq on the groundfloor and 40 sq on the basement, is housed in a charming courtyard which adds an air of exclusivity and privacy to the venue. 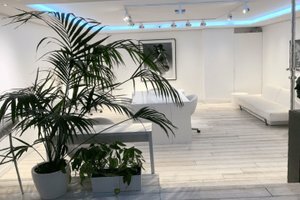 With pristine white walls, multiple windows and an eclectic mix of contemporary furniture, this space has a sophisticated and welcoming atmosphere. 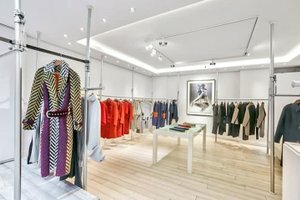 Close to Place des Vosges, this is a prime located for Fashion Week Events and private showrooms, it's ideal for brands looking for a well-equipped space.